If left untreated, hypertension (high blood pressure) carries an increased risk of a variety of serious conditions such as heart disease, stroke, vascular dementia and kidney damage, among others. People with hypertension may appear red-faced or feel dizzy, but the condition is often symptomless so it is important to have your blood pressure checked regularly by a qualified health professional. Blood pressure is expressed as two numbers. The higher number, which is always listed first, is systolic pressure, which is the pressure in the arteries when the heart contracts to pump blood around the body. The lower number, listed second, is the diastolic pressure, which is the pressure in the arteries when the heart relaxes between beats. For adults aged 60 or younger, hypertension is defined as a blood pressure reading where either number is above 140/90mmHg. For those over 60, a reading where either number is above 150/90mmHg is considered hypertension. 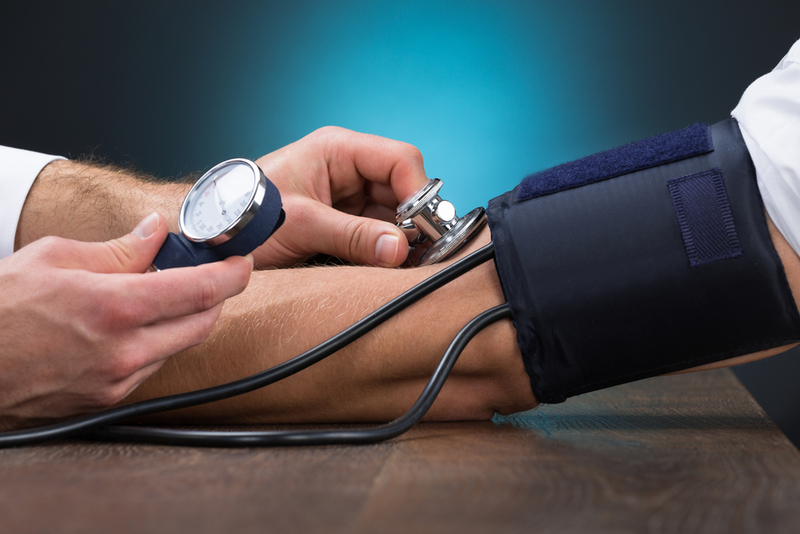 While 90 percent of cases of hypertension have no known causes – known as ‘essential’ or ‘primary’ hypertension – making healthy lifestyle changes can help to get blood pressure under control. Losing weight, eating a healthy, balanced diet, and taking regular exercise all help. Cutting down on the amount of salt that you consume, quitting smoking and avoiding caffeinated drinks can also have a positive effect. For more serious cases your doctor may prescribe medication to lower your blood pressure. The key takeaway message is to have your blood pressure checked by a healthcare professional every year.